I don't remember how the word tea entered into my life, perhaps even before my birth. When I was deciding on a name for my blog, the moment "A cup of Assam tea" came to my mind, it stuck firmly. You probably know, I originally come from Assam, India, where I was born and brought up till my 20 and moved to the USA 15 years back. 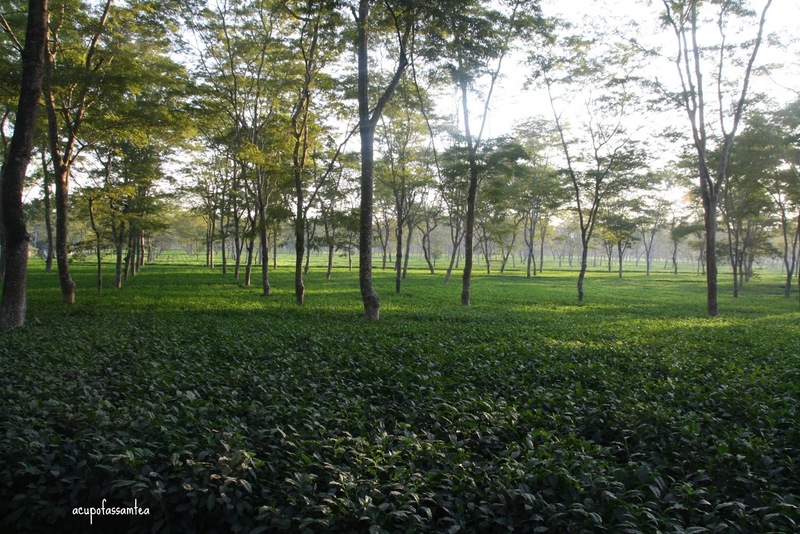 Assam is the highest tea producing state in the world. My mom has a tea connection. Both my maternal grandfather and great-grandfather worked for Assam tea company, later my maternal uncle owned tea gardens. I grew up hearing those tea garden stories and tea tribe stories of struggle as a lullaby from my mother. Our ancestral house in Assam is in the midst of tea garden. Those memories of quaint lush green tea, I always carry within me, even after moving to the USA to stay with me forever. The smell of tea, the memory of those two leaves one bud tea, labors music during festival floating in the air and buzzing in the ear. In our house, a day starts with a cup of Assam tea. When someone visits, the first thing you offer is a cup of tea. I feel that in our home, back in Assam, our expression of happiness always begins with a cup of tea. When there is good news celebration starts with a cup of tea followed by snacks and desserts. Even when it is pouring outside, we need a cup of tea, and when you are tired, you need a cup of tea. Whenever my husband gets back home from work a little early, it is our own time sitting together while having a cup of tea. At present, I love enjoying my cup of tea with a beautiful blog. I feel tea has a significant influence on everything about me from my food choices, my fashion to my lifestyle. Nothing could define my blog more precisely than a cup of Assam tea! Nothing gives me more significant boost than a cup of tea. 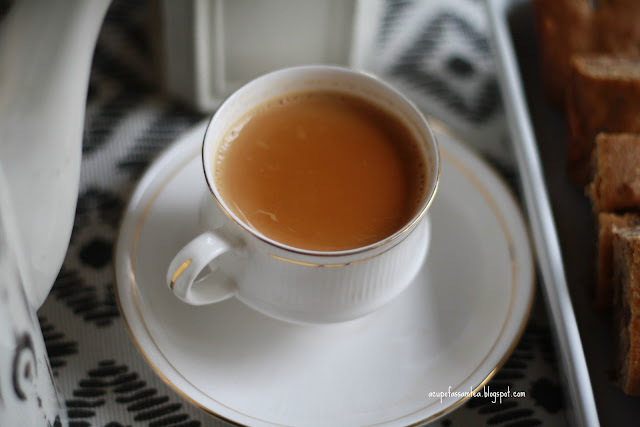 A cup of Assam tea is not just a cup of tea it's my memory, love, inspiration and much more. 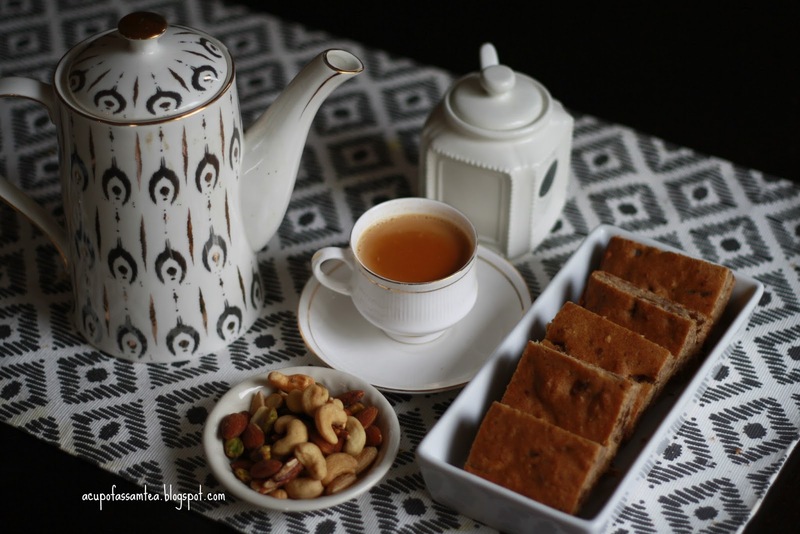 Here is the recipe for my favorite cup of Assam tea. In a pot, boil milk and water. Once it starts boiling add tea then ginger and cardamom. Stir with a spoon. Now add sugar and stir again. Since we are using loose tea, we need a strainer to filter the tea. Filter and pour it into the cups. Now enjoy your Assam tea with a book or blog or with your family and friends. Have a great weekend, enjoy your tea! Great post �� where can I purchase the tea? I would like to try it. Thank you for this fantastic post. I have a question. If you are researching a tea kettle to buy, what factor do you look at. Do you consider only the price or the manufacturer or the consumer reviews on the product? Thank you. This sounds like something I'd love to try! Sure Julie. Do let me know how do you like it. Thank you ! Thank you so much Rikki ! Thanks for sharing your recipe! Interesting! This is a great article and sounds like an interesting recipe to try. What a wonderful post. The lake sounded wonderful. Also I need to try this tea recipe! Thank you Antonia! Please do try. Lovely recipe- can't wait to try this! I was born and raised in Africa (I moved to Canada 18 years ago) and tea was part of our daily lives. Tea revolved around everything we did. It was the cure for ... everything. Thank you so much for sharing your story. Happy to know ! Wow, this recipe sounds so warming and delicious! I think we all need more tea in our lives. I can feel the taste of ginger and cardamon. Thank you so much Ruth ! Great post! Thanks for sharing your experience. I think you should definitely try green tea. and oolong tea. These teas can elevate your energy levels and can make you feel good for the entire day. Along with these benefits, both of these are rich in healthy nutrients and can aid in weight loss considerably. Great! I'm craving for a tea now. I love tea! I love milk tea as well. It's very relaxing. Thank you JR Vitug ! I was looking for a good basic and pure loose leaf black tea. I had been using a different high-end brand of loose leaf Assam tea but that line of tea had run out so this ingredients I don't need to buy thanks.